Wild South received a grant from the National Forest Foundation to support volunteer stewardship of public lands in North Carolina, Alabama and Mississippi. Since 2006, the foundation has supported Wild South in its conservation work in our national forests, which has expanded to engage hundreds of volunteers in caring for their shared natural resource, the forest. Wild South works in the Linville Gorge Wilderness in western North Carolina, in the Sipsey, Cheaha and Dugger Mountain Wildernesses of Alabama, and in the Black Creek Wilderness in Mississippi. The organization recruits, trains and deploys volunteers to work in national forests through their Volunteer Wilderness Ranger program, Wilderness Stewardship Volunteers program, and Bankhead Helping Hands Work Days. 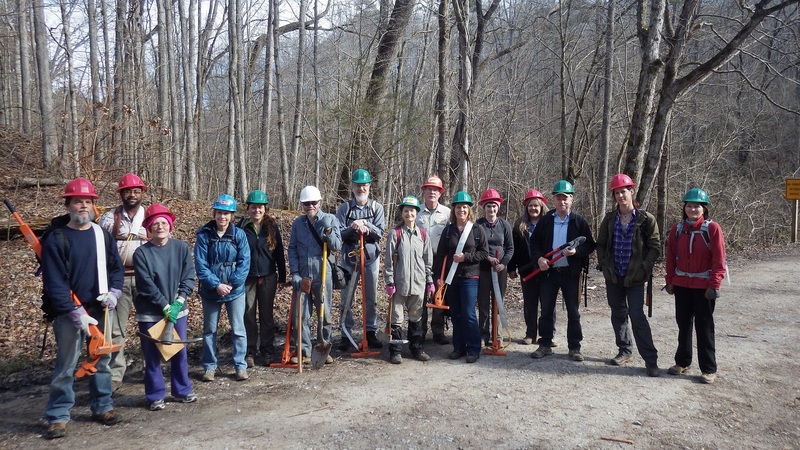 Wild South’s model of volunteer stewardship work began in the Bankhead National Forest in Alabama in 2007 and expanded to include trail work in the Sipsey Wilderness in 2009. In light of the program’s early demonstrated success, it was expanded to the Linville Gorge Wilderness in 2012. In the last 12 months, with the support of the National Forest Foundation grant from the previous year, over 190 individual volunteers contributed a total of almost 5,000 hours of service in the three states. Volunteers remove non-native invasive plant species, maintain trails, reduce the impact of recreation activity, and educate wilderness visitors about Leave No Trace principles and the need to preserve wilderness character. All work is performed with the full support and partnership of the respective Forest Service Ranger Districts.